Haul || Boots | RAWR BOWS. Hello everybody! 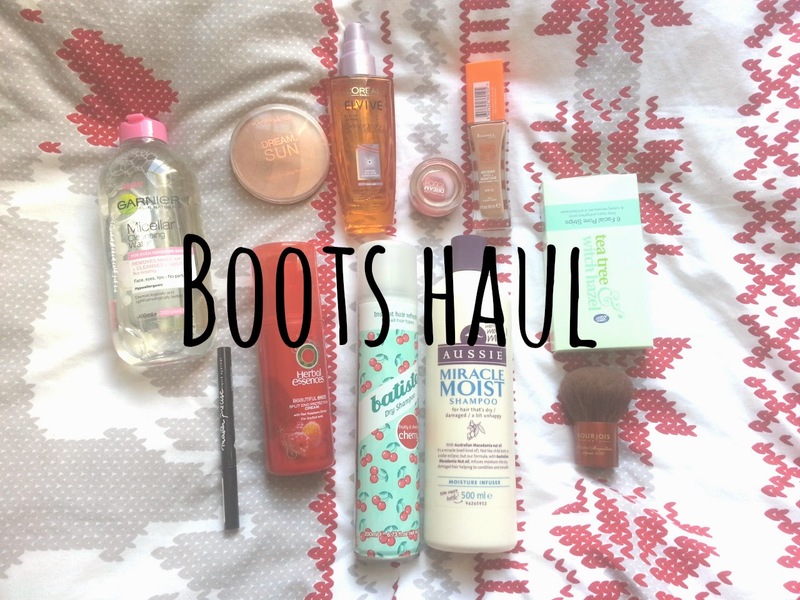 Recently, I've done quite a few trips to Boots and without even realising I bought a fair amount of stuff. I also picked up the Rimmel London Wake Me Up foundation as my old one was almost gone. However it turnes out I don't really like it as it is a bit shimmery and it makes my skin look much worse than what it actually is. I also got the L'Oreal Elvive Extraordiary Oil Mist (which makes your hair sooooo soft) and the Burjois kabuki brush. Because I can never have too many hair products (you don't know how bad my hair is) I bought the Herbal Essence Beautiful Ends Split Ends Protection Cream which basically helps with split ends and makes you hair smooth. Another thing I decided to try to fight against my blackheads (and hopefully I'll win) are pore strips by Boots. And finally I picked up my favourite shampoo which is Aussie Miracle Moist Shampoo, it smells soo good and it makes my hair look very nice. If you know me you'll know I'm the laziest person on earth so dry shampoo is my best friend, I picked up the Batiste Dry Shampoo in Fruity and Cheeky Cherry and let me tell you, out of of all the Batiste dry shampoos this is the best one, its smell is so perfect! 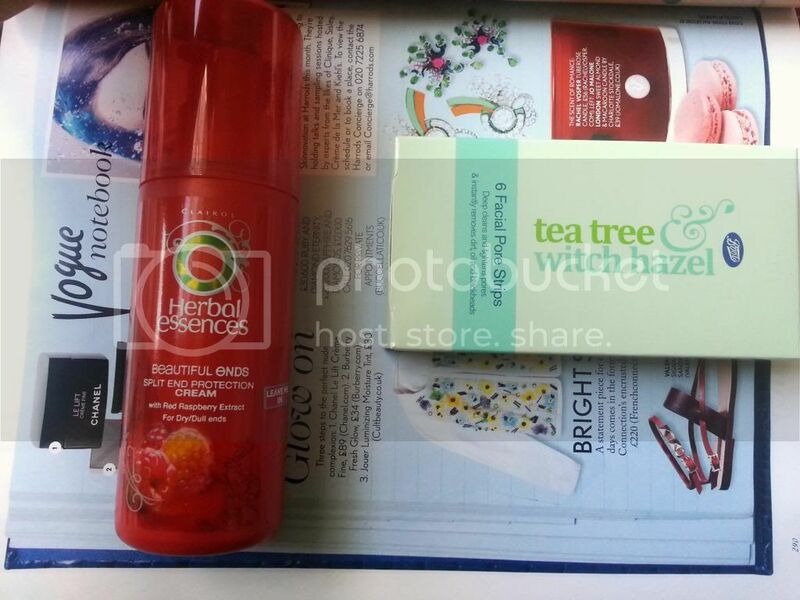 And the last thing I got is the Garnier Miscellar Cleansing Water which I reviewed here. Have you bought any beauty products recently? I think I'm going to try the Garnier Cleansing Water next, I've just bought the L'Oreal one but I've heard such great things about the Garnier version! I'm really interested in the Herbal Essences split end cream, my hair always just feels like it's in such bad condition! I tagged you in the Whole Lot of Questions tag if you fancy doing that at all this week.